Nicholas A. Viens, M.D. ; Coen A. Wijdicks, Ph.D.; Kevin J. Campbell, B.S. ; Robert F. LaPrade, Ph.D.; Thomas O. Clanton, M.D. 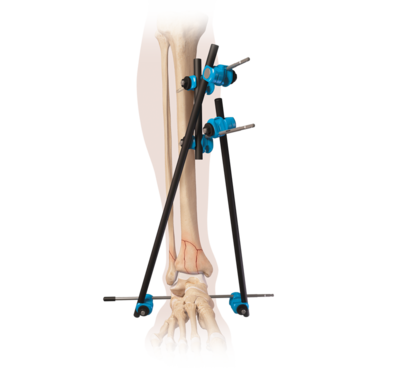 Ankle syndesmotic injuries are complex and require anatomic reduction and fixation to restore the normal biomechanics of the ankle joint and prevent long-term complications. The results of this study indicate that fixation with TightRope provides a more accurate method of syndesmotic stabilization compared with screw fixation. Syndesmotic malreduction is the most important independent predictor of clinical outcomes; therefore, care should be taken to reduce the syndesmosis accurately. 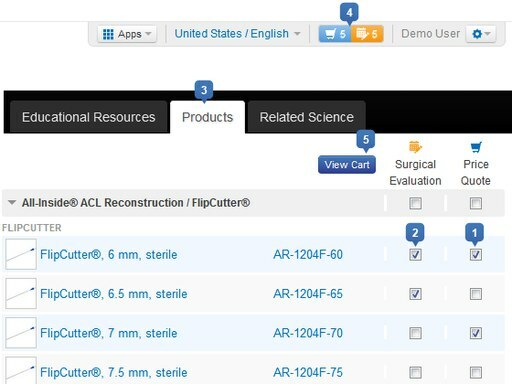 Digital deformities are some of the most frequent complaints of patients seeking a surgical solution after the failure of conservative care. A thorough assessment of the actual level of deformity is important to ensure a lasting surgical correction. 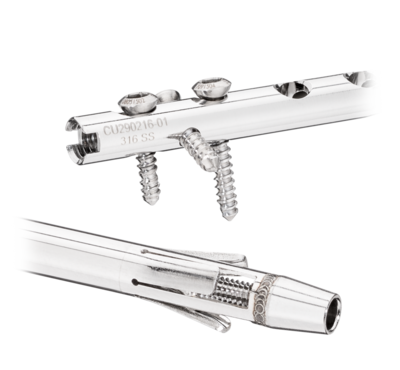 This article details the options for correcting hammertoe, clawtoe and mallet toe deformities with Trim it Drill pin and the Spin pin. Beumer, A.; Valstar, E.R. ; Garling, E.H.; Niesing, R.; Ranstam, J.; Löfvenberg, R.; Swierstra, B.A. Stephen Burkhart MD, Michael Wirth MD, Matthew Simonick MD, Daniel Salem, MD, Dan Lanctot BS, Kyriacos Athanasiou PhD, P.E. 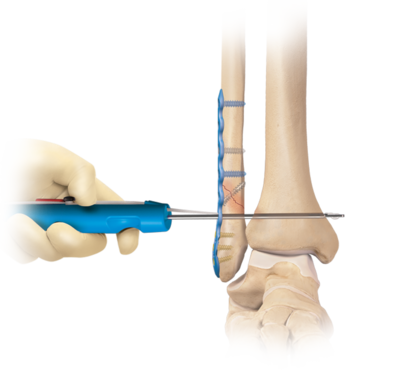 Ligamentous and capsular insufficiency of the second metatarsophalangeal joint has been surgically treated for over two decades, mainly with indirect surgical repairs, which stabilize adjacent soft tissue and shorten or decompress the osseous structures. 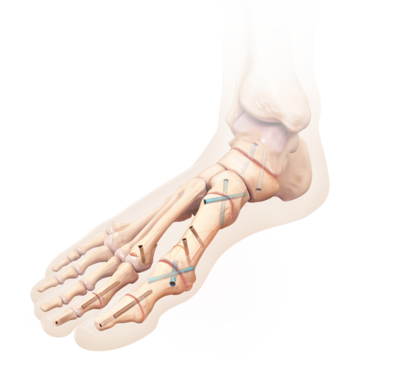 While ligamentous insufficiency has been described and recognized, degeneration of the plantar plate and tears of the capsule have rarely been documented. In this largest series of cadaveric dissections of crossover second toe deformities, we describe the types and extent of plantar plate tears associated with increasing deformity of the second ray. 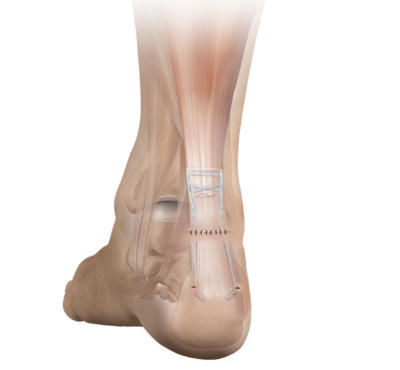 We present, based on these findings, an anatomic grading system to describe the progressive anatomic changes in the plantar plate. Mid-Diaphyseal Fibular Fractures with Syndesmotic Disruption: Should We Plate the Fibula?